At only footsteps away from the Col de la Madeleine, and 12km from the nearest autoroute, the ski resort of Saint Francois Longchamp displays spectacular views over the Belledone Massif in the Oisans and the highest mountain in Western Europe, Mont Blanc. 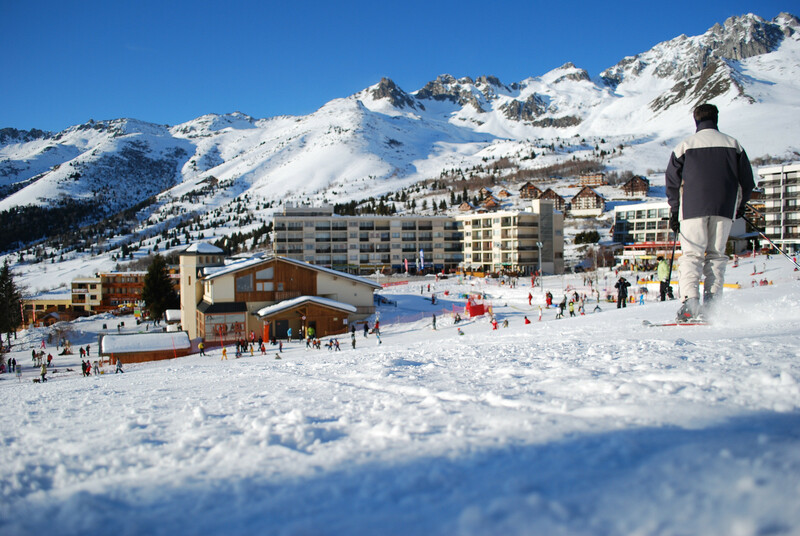 Saint-François Longchamp is a friendly ski resort that has everything you need: great quality snow and wide open ski runs that are accessible to all abilities. The sun-soaked modern infrastructure provides visitors with varied activities, events and services which cater for all the family (from children to grandparents), leaving visitors to enjoy the white gold and a breath of fresh air. If you're looking for an active holiday on the slopes, Saint-François Longchamp 1450m, Les Longes, Saint-François Longchamp 1650m or Montgellafrey (Plan Mollaret Sector) are there to meet your expectations with everything you will need for your stay. If however, you want the warmth and tranquillity, Montgellafrey or Montaimont are the villages to be, right at the heart of a beautifully preserved natural wilderness. Skiing in Saint Francois Longchamp takes place between the Maurienne and the Tarentaise Valleys; there are 160km of marked ski runs for all abilities if you buy the larger ski area pass which links Saint François Longchamp and Valmorel. For cross country skiing, head up to the Grand Coin Nordic area (situated 12km from Saint-François Longchamp). Access is via the charming village of Montaimont (you must continue past the centre of the village up to the Bonvillard parking which is found at the end of the road). There are 40km of marked trails which pass through pine tree forests and snow covered meadows, gently heading up to the Col du Chaussy. A great hike with family or friends, with the cross country skis clipped on, there is no better way to enjoy this peaceful setting. Other sensations, other delights... Saint Francois Longchamp has a multitude of activities on offer away from skis: dogsled rides, paragliding initiations, speedriding, walks and snowshoe hiking or a trip to the cinema or a visit to the museum which tells all about the life of the local Felicien peasants of yesteryear. For fans of well-being and simply relaxing, the fitness centre in Saint-Francois Longchamp will be of interest to you. Developed by Bernard Hinault, five times winner of the Tour de France, with teams of doctors, physiotherapists, sports preparers; The Forum des Eaux allows everyone to keep in shape whilst enjoying the health benefits of water and steam (aqua activities, hammams, solarium and an outdoor pool). In terms of child care, Saint François Longchamp has 3 children's clubs: - Lutin's Club for children from 3 months to 3 years - Marmotton's Club for children 4 to 5 years - Cabris Club for children 6 to 12 years The program: Varied themed games and animations which change from week to week. Build a snowman outdoors or laugh whilst sledding under the winter's sun! Note that the mixed programs (kid's club + ski courses) are offered in collaboration with the French Ski School (ESF) Saint François Longchamp. In the evening, remember to savour the local culinary delights. Regional products and local specialties will make your evenings even more warm, lively and enjoyable.